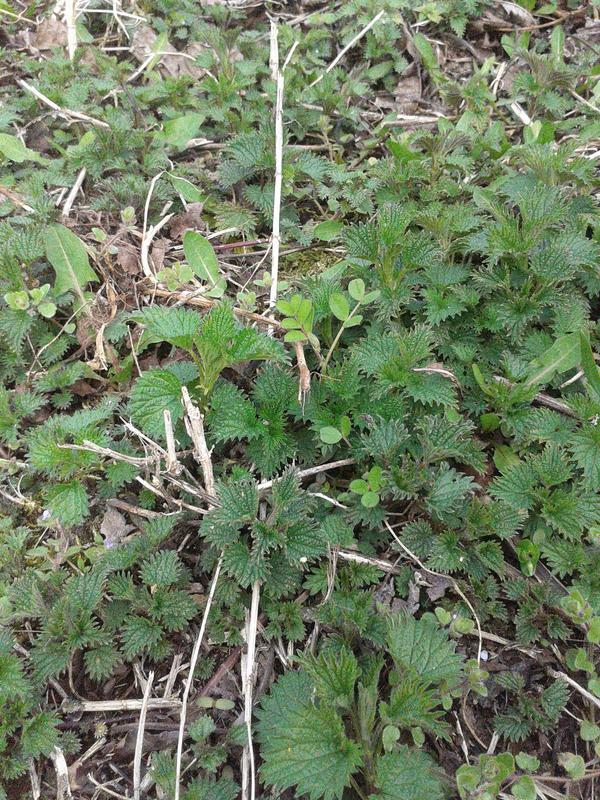 When most people see a patch of new stinging nettle like this, they think it is something to avoid. New spring patch of stinging nettle. Stinging nettle is not only edible, but extremely tasty. The little spines of the nettle are all over the leaves and stems. But cooking destroys the sting of the nettle. 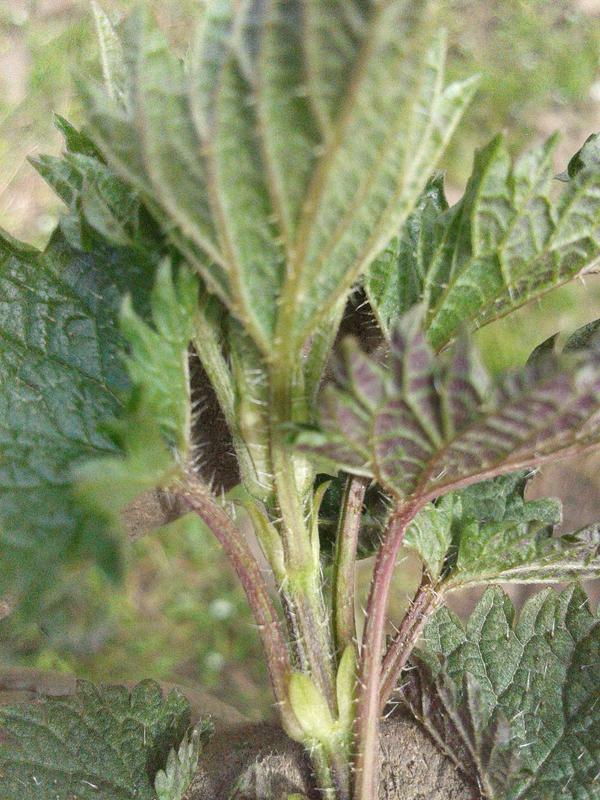 Small spines all over the nettle plant will break off in your skin and releasing a host of chemicals, causing pain. 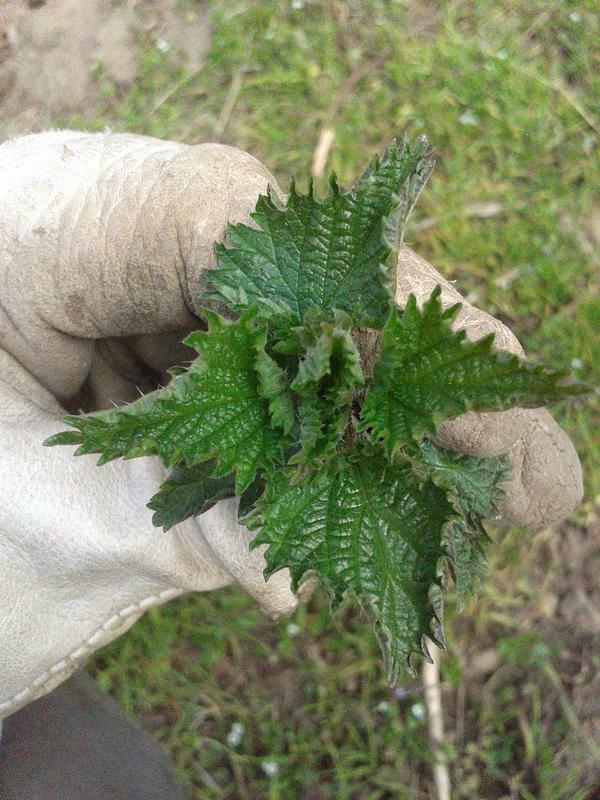 Until the nettle is cooked, it is best to handle and harvest stinging nettle with gloves to avoid getting stung. Suggested to wear gloves when harvesting stinging nettle. I for one believe stinging nettle makes a much more flavorful pesto than basil. The recipe is simple: harvest some of the newer tender leaves, wash the leaves and chop with a good knife (wear rubber gloves until you learn not to touch the plant while chopping), and sauté in oil with garlic and green onions until the nettle is well cooked. 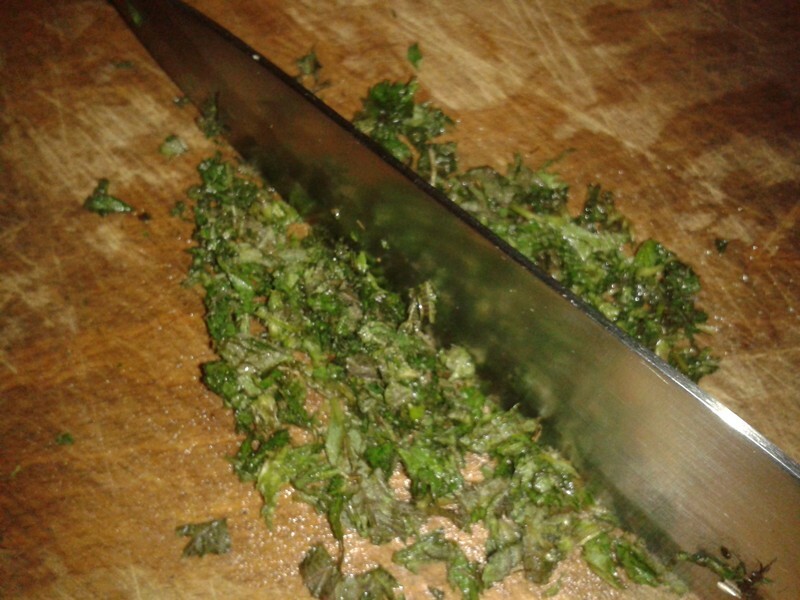 Chop the nettle with a large knife, using a rocking motion to avoid touching the plant. 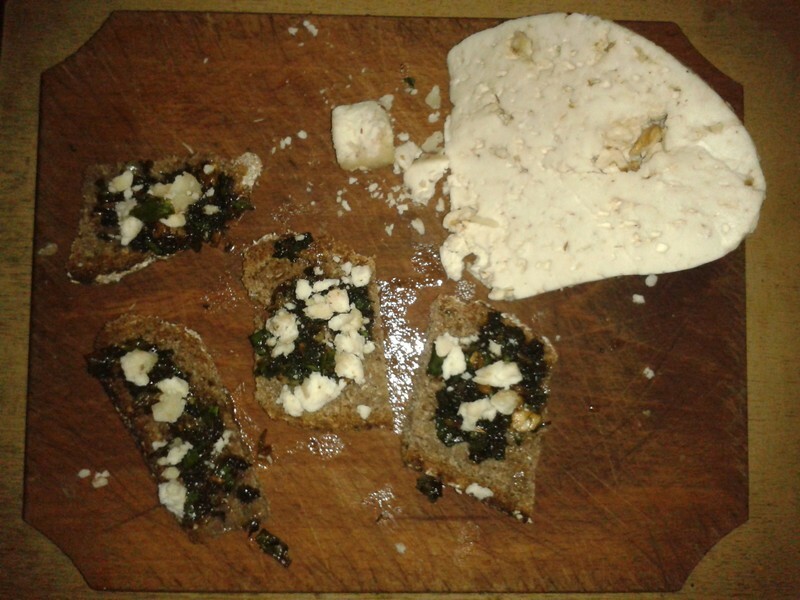 Then for lunch I will spread my pesto on some good whole grain bread, and crumble on top some locally made goat cheese with nuts. Makes for a great meal. We’ve also found that stinging nettle is great in smoothies. The spinning blades destroy all the needles that would otherwise cause pain. It’s a great source of free food. Thanks for sharing!